I/O Box with 32 Remote-Controllable MIDAS Preamps, 16 Outputs and AES50 Networking featuring KLARK TEKNIK SuperMAC Technology. Digital mixing has revolutionized virtually everything in the live-entertainment production workflow. 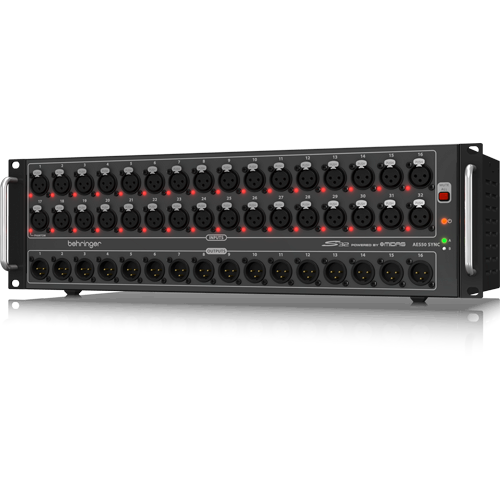 The ultra-affordable S32 digital stage box bridges the gap between the onstage talent, Front of House (FOH) console and the rest of the world with its ultra-fast and rock-solid performance over Cat 5e cable (up to 100 m).